By 2022, the food delivery market size is expected to grow to an annual revenue of USD$956M, one of the fastest growing sectors in the market. It’s midday, the rush hour for well... food. 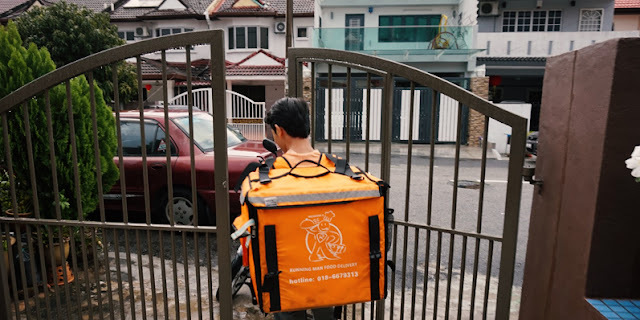 If you are around big shopping malls like Mid Valley, it is easy to spot food delivery riders rushing in and out of the restaurants with their portable food bags. All geared up and ready to go, it’s the peak hour to deliver their customers' lunch. The F&B industry in Malaysia has been hit with a new wave - online food ordering. Not just restricted to tapau-ing (take-away in local Chinese slang) and eating out, ordering in is the new eating out. In 2017, the country has witnessed a spike in food delivery startups swarming the battlefields of the food delivery industry. Despite witnessing the death of some food delivery startups, investment has all but slowed down with Dahmakan securing yet another pre-Series A round of $2.6 million in early 2018. So which are the active food delivery brands Malaysia? What makes them different from each other? Let's start our analysis with Foodpanda. 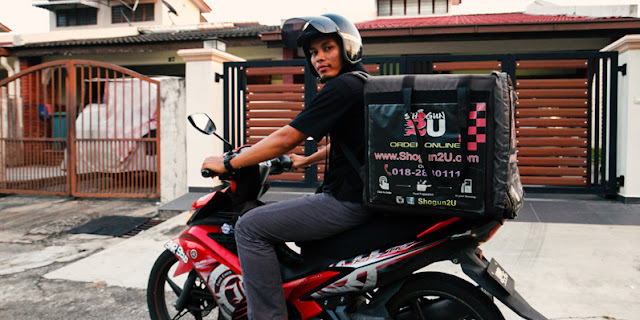 Foodpanda was the first delivery company that started aggressively in Malaysia. The black panda logo, now pink, is spotted frequently here. 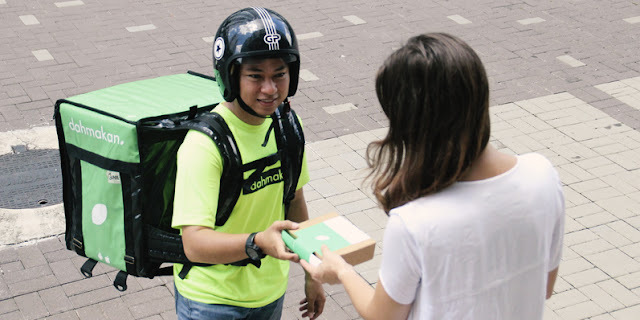 Before the likes of Foodpanda and Room Service, food delivery in Malaysia was mainly restricted to Domino's and basically just pizza delivery. In recent years, Foodpanda is considered as top-of-mind food delivery brand in Malaysia. However, it is not a stretch to conclude that Foodpanda has not lived up to its name in this region. Just take a look at its Facebook page and you will see countless comments by consumers detailing their bad experiences with Foodpanda, with most complaints revolved around late deliveries and cancellation of orders. 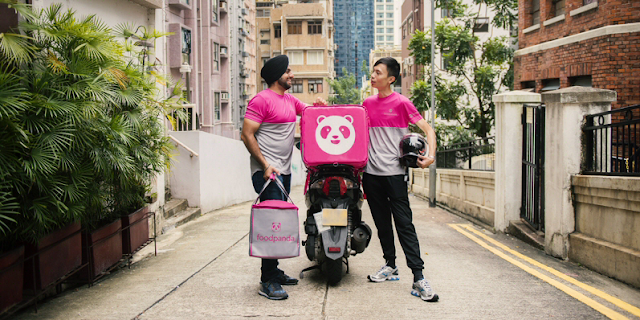 You might be wondering why Foodpanda hasn't managed this efficiently, but balancing aggressive acquisition and growth with effective fulfillment and good customer experience is not an easy challenge. It is always easy to blame the weather and country-specific challenge but Malaysia has unpredictable rainy seasons which spell trouble for food delivery services. There are obvious consequences like road accident, traffic jam during a downpour which affect the schedule of on-demand delivery services. However, even on a bright sunny day, there is another challenge faced by food delivery companies - over-demand of orders. Foodpanda has only around 150 riders here on standby, there is only so much that each rider can do when the orders swamp in. 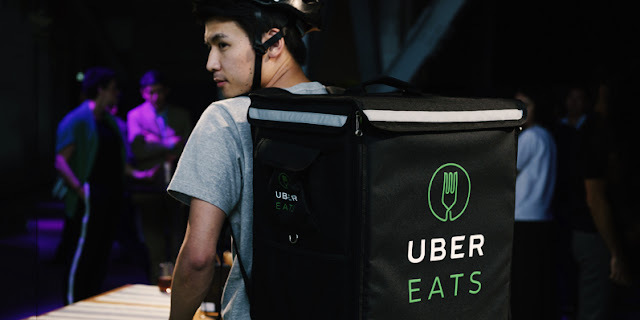 Therefore, on-demand or food delivery service is not a capital-light business model as it is an on-going task to scale supply (restaurants, riders, coverage) with demand (orders, customers). 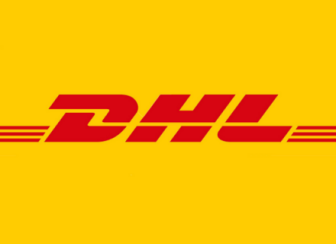 If you are still wondering why the panda has turned pink, this is due to the rebranding exercise after the acquisition by Delivery Hero back in December 2016. Pink is also the signature color of its new sister company Foodora. Since the acquisition and rebrand, the company has announced a strikingly different marketing strategy - fewer voucher codes and more customer interactions. Laura Kantor, Foodpanda Singapore's Head of Marketing has mentioned that the shift towards "market responsibility" will hopefully increase brand loyalty among the consumers. Founded in 2012, this Penang-based startup has secured USD$450,000 in a pre-Series A funding from Gobi MAVCAP ASEAN SuperSeed Fund in early 2017. Being a true Malaysian brand, DeliverEat has become the master and top household brand in its own hometown. With 40,000 customers served every month, even sizeable competitors like Foodpanda find it difficult to challenge its pole position in Penang. After years in Penang, DeliverEat has finally ventured out of Penang in late 2017 and hoping to replicate its success in Kuala Lumpur amidst the volatile competition. Malaysians especially those reside in the cities are familiar with Uber and / vs Grab, the two ride-hailing apps which bring you from point A to point B. When Uber Eats is launched in Malaysia or to be exact Kuala Lumpur with 200 restaurants under its belt, food delivery battle has officially started in KL since September 2017 and then joined by DeliverEat three months later. This is definitely a good news for F&B operators as they now enjoy more business, more food delivery options without being pressed by one main player who monopolizes the market. Honestbee, a Singapore-based startup which started out as a grocery delivery service, has landed in Malaysia just last year. It is not a coincidence that 2017 is the start of food delivery battle. You might be wondering why another startup from Indonesia - HappyFresh is not listed in this article, this is because Honestbee has expanded to food delivery while its fierce competitor is still focusing on grocery for now. 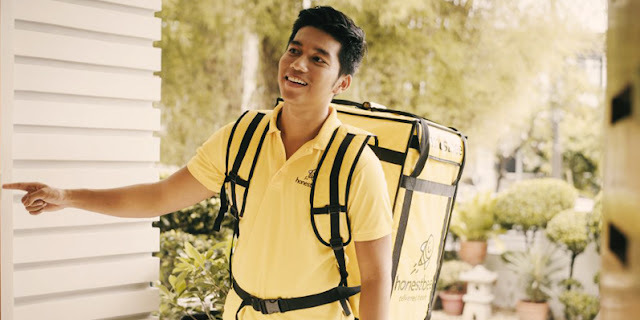 With grocery and fresh produce covered, this is an advantage Honestbee has over other food delivery services here. Think Honestbee as your own personal shopper for well, everything! You will never have to step out of your house again. Not to be mistaken by the hugely popular Korean variety show, this is a local startup founded by three young university students. Running Man Delivery launched into stardom when it achieved its PitchIn fund target of USD$40K in less than 24 hours. Similar to Honesbee, Running Man also delivers sundries from your local shops on top of restaurant meals. There has been little to no news of the startup since its successful equity fund. However, it is reported recently via press releases that Runningman has over 7,000 users and 2,800 orders a week, that's quite impressive! New to the scene, FoodTime is a food delivery app for restaurants and home kitchens. Unlike Foodpanda and the gang, FoodTime does not handle deliveries at all as this is done by the restaurants and home cooks. The offering of home-cooked meals is definitely its unique selling point, "In the local community, there are a lot of individuals who cook, sell and deliver their own dishes. So I thought, why not provide them with a platform to do so? ", explained by Ahmad Daleen, FoodTime's founder. With its solid mobile application built by two seasoned software engineers, FoodTime has become a household name in Cyberjaya, in which up to 600 customers a day are served in that area alone. All the food delivery brands we mentioned above are either platform and/or fulfillment focused, as the supplies (food itself) are provided by third-parties. This is how Dahmakan set itself apart as food preparation, packaging and delivery are all handled internally by the company. 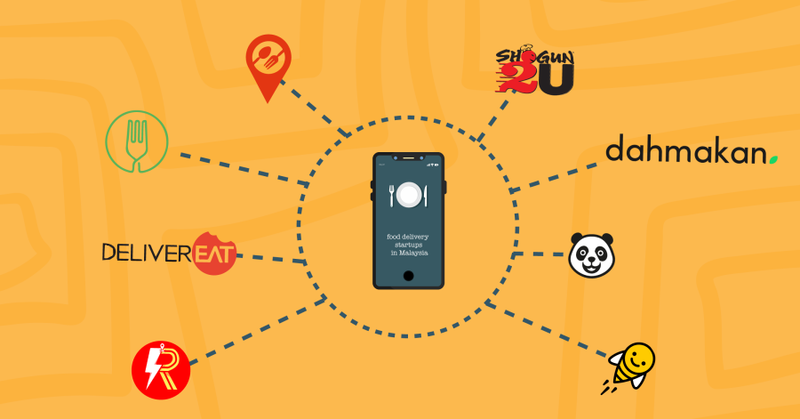 Founded by ex-Foodpandas, the startup is able to manage high quality and customers' satisfaction with end-to-end control. Dahmakan has been one of the local startup rising stars, from becoming the first startup from Malaysia to enter the highly rated Y Combinator to the recent round of USD$2.6M funding. In case you haven't tried it, Dahmakan functions on a strict "milkman business model", meaning that customers can only pre-book their meals the day before. With scheduled delivery slots, customers are ensured to receive their meals, on-time and ready-to-eat. Correction by Dahmakan: Customers can actually order on the day, up until 45 minutes before delivery. Customers are able to select 1-hour delivery window (30-minutes delivery window for prime or subscription customers). Similar to Dahmakan, Mamman adopts an end-to-end approach by controlling the entire process from preparing the food to delivery. The startup has opened its first kitchen in Petaling Jaya over two years ago and its food delivery coverage is not limited to Klang Valley but also locations like Port Klang and Cyberjaya. 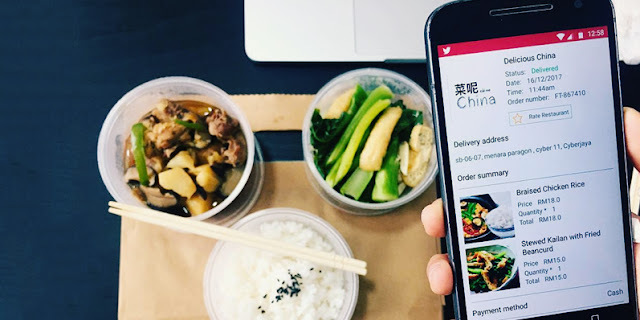 If you visit its website or mobile app, a halal logo is spotted and with halal-certified Asian meals delivered on-demand, this is perhaps one of the edges it has among the competitions. While all the food delivery brands mentioned above are more like Internet startups, Shogun2u is quite different in the way that it is started by an entrepreneur with F&B experience. If you live around Klang Valley you might be familiar with Saisaki Japanese buffet which was hugely popular a couple of years back. Yes, Shogun2u is started by Datuk Seri Michael Chong who also owns Shogun chain of restaurants. It is known that Shogun2u is an online business pathed by Michael for his son, with RM1 million sales reported during the first 3 months of its launch back in 2015. If you notice, food delivery services are only plausible in urban cities like Berlin, Singapore, Sydney etc, it is the same with Malaysia as most of the firepowers are concentrated in Kuala Lumpur and Klang Valley. Unlike other e-commerce services which are easier to scale with the reliance on 3PL delivery, food delivery services face the challenge of location and coverage boundary at the same time maintaining high customer satisfaction with on-demand delivery. Perhaps this is why we are seeing there are a couple of strong players without anyone being entirely dominant. Having said that, we expect investments will continue to swarm the food delivery industry. By 2022, the food delivery market size is expected to grow to an annual revenue of USD$956M, one of the fastest growing sectors in the market. This article is written by Ahmad Daleen, Co-founder and CTO of FoodTime and edited by ecInsider. All the photos in this article are provided by Ahmad.